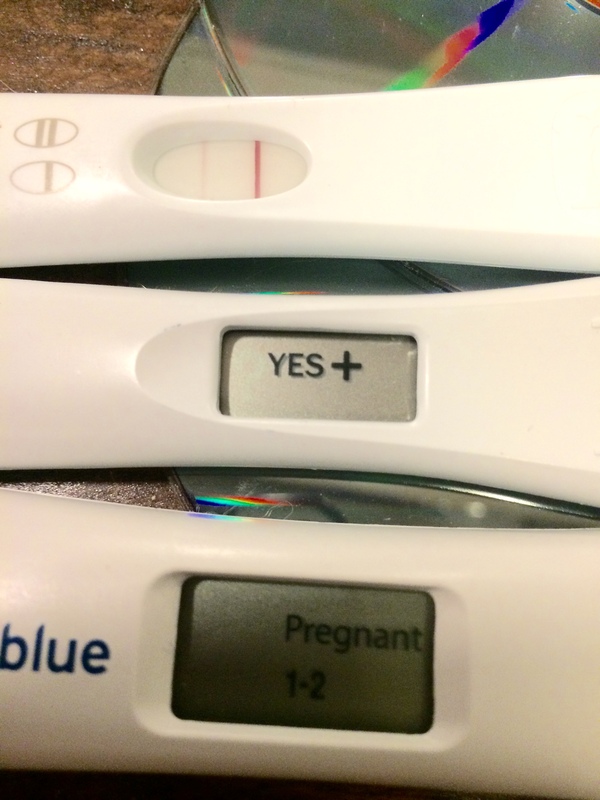 When we got pregnant for the first time, I knew immediately something was wrong. Because of this, I knew to keep the news between my husband and I. We were planning on telling our families at the 8 week mark, when we would be with them in person. We live in Georgia and our families live in Virginia and Illinois. I single-handedly bought out all of Clearblue and First Response’s stock. You’re welcome investors. With how much I spend, I’m going to look into buying stock. I was so excited, and even though I felt something was off, I couldn’t help but look up cute ways to announce pregnancy to your family. Each time I found a new adorable way, I got more and more excited. Then I miscarried. All of the sudden, keeping the news to ourselves felt very very lonely. I wanted to have the support of my friends and family but I also wanted to keep our TTC process a secret. I eventually broke down and told my mom, but only because she knew something was up. Why is it that women that miscarry are so ashamed? Is it because it is just too hard to talk about? For me I felt like I didn’t want to make others feel awkward. How ridiculous is that? I was the one suffering but I didn’t want to put others in the position to not know what to say. We only shared what happened to our direct family a couple weeks ago. Even then, I felt weird telling them. As I expected, they had no idea what to say. What is the right thing to say? If it hadn’t been for the community I found online, I would have had no support outside of my husband. I pray that each of us out there that have suffered a loss of a baby learn to speak up and find support, no matter how awkward it is at first. What I have found is that when you share your experience, most people have a story to share back to you. If you had a miscarriage, did you keep the news to yourself? How did you handle finding support during such a hard time? Thinking of all of you in the sisterhood, know that you are not alone! This entry was posted in CLOMID, FEMARA, IUI, IVF, MISCARRIAGE, TTC and tagged CLOMID, FEMARA, IUI, IVF, MISCARRIAGE, TTC on January 18, 2015 by ewarski. I am so sorry and saddened for your loss and sorry that you had to go through something so traumatic. You’re absolutely right that more women should be able to feel comfortable in talking about it and getting support. Your feelings and your husband’s definitely come first and I hope that you found the support you deserve.